Small city benefits, big city ambition. It’s bold and ambitious, but it’s achievable. What we need is a connected community that's on the same page, working together towards common goals. 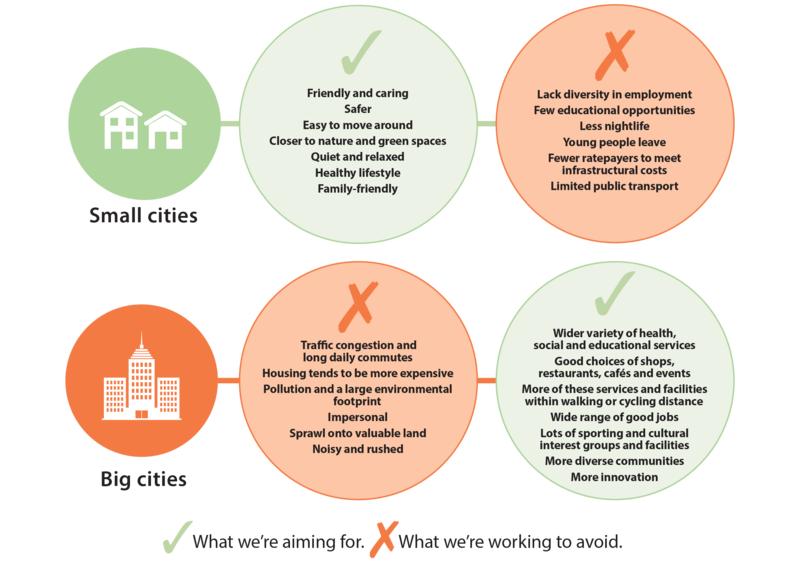 There is large financial investment needed to help us achieve our goal of experiencing the best of both worlds, but if we don’t invest, we’ll end up with a mix of small and big city disadvantages too and face higher economic, environmental and social costs. This will impact on our children and future generations. Our 10 Year Plan describes how we intend to achieve the advantages, while avoiding those disadvantages. We have five draft strategies that show how we will achieve this vision. You can comment on these in your submission. 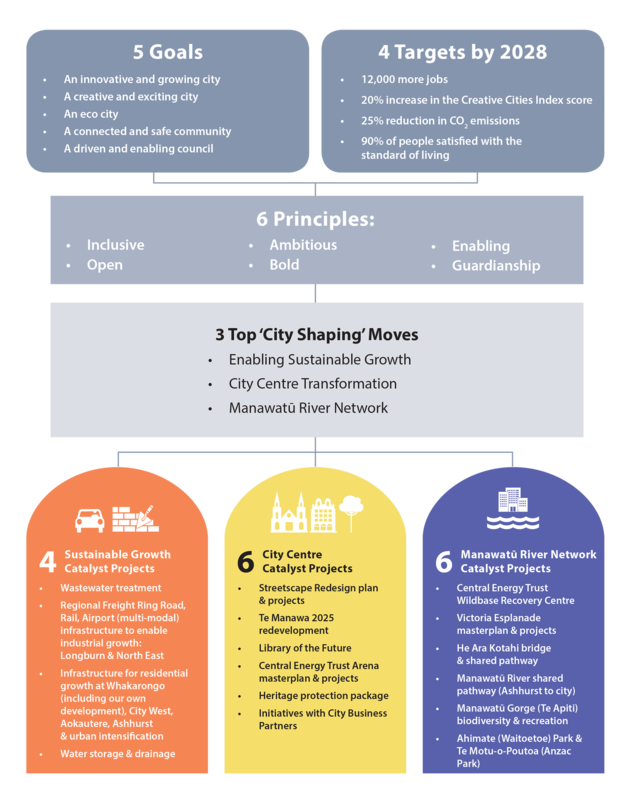 These five strategies show how we'll achieve our vision for Palmerston North. Each strategy is supported by a number of plans. Find these in our document library.